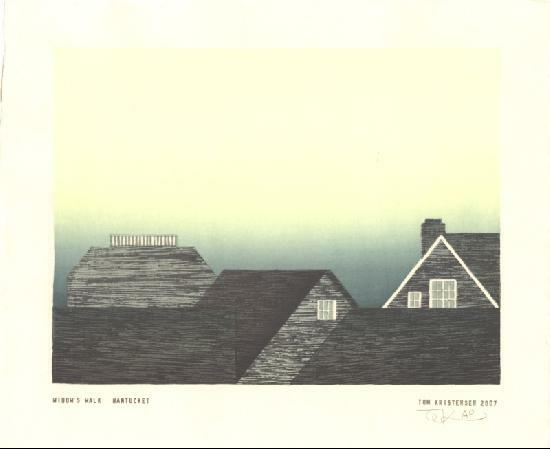 Widow's Walk Nantucket, from a new set of prints inspired by the Quaker architecture of the whalers of Nantucket Island. Paper size: 30 x 24 cm. Printed in June 2007 in an edition of 50.